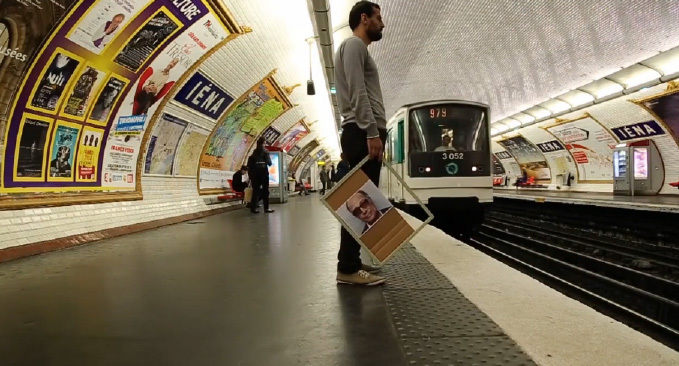 A Syrian man carries a large photo of the Iranian director Abbas Kiarostami and wanders in the streets of Paris to ask the passers-by the address of him. He wants him to talk about the Syrian revolution to his government. He heads to the Iranian embassy, subways and coffee shops but gets no answer. Syrian/French filmmakers, Mohammad & Ahmad Malas were born in 1983. Studied acting at Ornina Institute, in Syria. Played on television and in theater before making their own films. Searching for Abbas Kiarostami is their latest film.